Manga Translation Battle of Professionals Begins! From the woman that brought you emotional works like AnoHana, Selector Infected WIXOSS, Blast of Tempest, and more, comes a film about family, motherhood, and love! 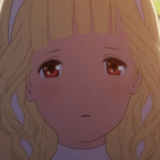 Mari Okada, a prominent female writer who's behind powerful works like AnoHana and Iron-Blooded Orphans, returns with her first work as a director: Maquia: Where the Promised Flower Blooms! Releasing this week across North America, here we are to give you our thoughts and all the details! 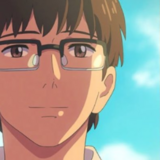 An Inside Look at the World Premiere of CoMix Wave's 'Flavors of Youth'! From the studio that brought you the international phenomenon, Your Name, comes a three part anthology about love, youth, and food! Two years ago, Makoto Shinkai's film, 'Your Name', became a global phenomenon, moving the hearts of young and old around the world. Now, the studio he's worked at, CoMix Wave, is out with a three part series exclusively on Netflix, with a global premiere at this year's Anime Expo. Hit the jump for all the juicy details! Johnny O’Bryant and the Noir Caesar Creative Team present the World Premiere of XOGENASYS: the Anime at AX 2018! 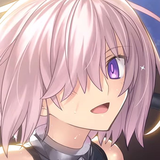 Dive into virtual reality with Fate/Grand Order and save humanity at Anime Expo! Aniplex of America is bringing the popular Fate/Grand Order VR Experience to Anime Expo... featuring a brand new English-language dub! Fans can experience training sessions with Mash, and a vacation with Altria. Hit the jump to find out more, plus learn about the mobile game's first anniversary event at AX. Manga Art for Intermediates brings extra steps and knowledge from a Japanese mangaka to help artists bring their manga characters to life! 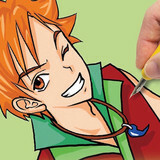 Manga Art for Intermediates, the sequel to the #1 Amazon bestseller how-to-create-manga Manga Art for Beginners, is here to take your character drawing to a whole new level. Devilman VS. Hades Vol.1 Manga Available Now From Seven Seas! A MODERN SEQUEL TO THE HORROR MANGA CLASSIC DEVILMAN!